The Broncos’ agreement with Gary Kubiak went bust, but they’re still intent on adding experience to Vic Fangio‘s staff. The Broncos notified the Steelers of their intention to speak with Mike Munchak, according to Ian Rapoport of NFL.com (on Twitter). 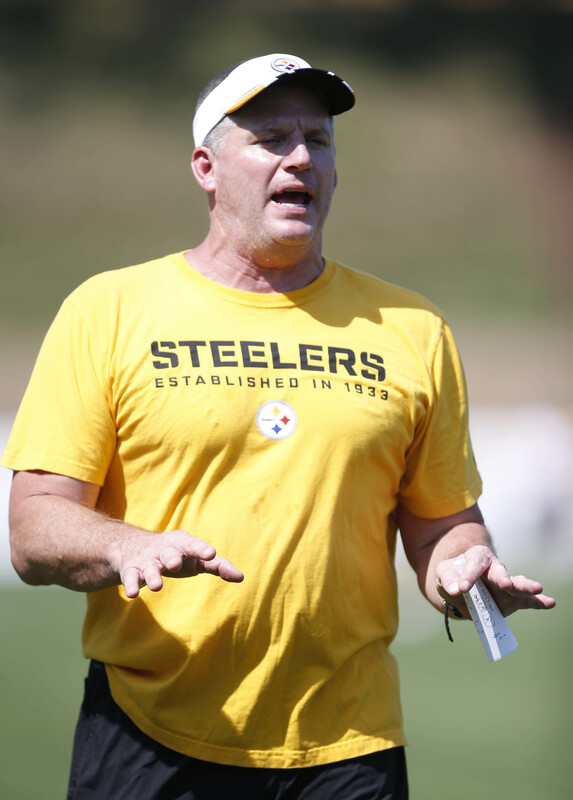 Munchak’s contract with the Steelers has (or will soon) expire, so the Steelers wouldn’t truly have the means to block him from taking a clear promotion elsewhere. Munchak’s possible role in Denver is unknown, but he would fit as a logical OC candidate to fill the role that was set aside for Kubiak. Just days ago, Munchak was interviewing with the Broncos in their head coaching search. He did not get the nod, but he did impress and he wound up as a finalist alongside Fangio. Munchak served as the Titans’ coach from 2011-13 and has overseen one of the NFL’s best offensive lines in recent years. Pittsburgh’s front helped turn Le’Veon Bell into a star and James Conner into a quickly capable replacement while also aiding Ben Roethlisberger to four straight Pro Bowls and a 2018 5,000-yard season. Steelers OL coach Mike Munchak is among the best at what he does, and Denver had him in the final 2 for their HC interviews. Possibly adding both Munchak and Vic Fangio would be quite a coup for the #Broncos… and clearly a rough loss for Pittsburgh. I would not be comfortable with this if I was Vic. Typically HCs pick their own coaches and I doubt Vic would want his OC to be the guy that the team almost picked for his job. Would make the Broncos feel that much better about firing Vic if things don’t go as planned. You’re getting ahead of yourself. Vic got the job and it’s his decision whether to bring on Munchak anyway. They’re not going to now go over his head and hire a fallback guy because they’re anticipating firing him ASAP. Go away, Broncos! You got your coach. Sounds like a good opportunity for Munchak. Maybe he can use this OC job as a springboard to another HC job. I hope he gets the chance to advance instead of just spending his career as a line coach.